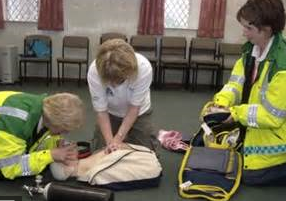 The QA Level 2 Award in Emergency First Aid at Work (QCF) qualification is designed for individuals who wish to act as an emergency first aider in their workplace. Upon successful completion of this qualification, candidates will be equipped with the essential skills needed to give safe, prompt and effective first aid in emergency situations. The QA Level 3 Award for Emergency First Responders (RQF) is a regulated qualification and nationally recognised qualification that has been specifically designed for those who are likely to be responding to an emergency incident. 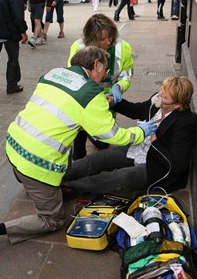 The QA Level 3 Award for Emergency First Responders (RQF) is a regulated qualification and nationally recognised qualifiction that has been specifically designed for those who are likely to be responding to an emergency incident, including: community first responders, emergency services personnel, event medical responders, cabin crew and first aiders. Succesful candidates will gain the necessary knowledge and skills required to deal with a range of prehospital care emergencies, such as managing a patient's airways, dealing with catastrophic bleeding and managing major illnesses. This qualification is also ideal for those seeking to develop their skillsin order to progress into other areas of prehospital emergency care, such as the ambulance service.